I was in the middle of a conference with Angel, a second grader. Every single centimeter of his paper was filled with drawing and writing. He had squished the last couple words into and around a corner to get it all onto the page. I was about to teach him how he could stretch his story across pages, so that he would have plenty of room to say it all. But… one problem. The paper was all the way on the other side of the room. I knew that if I left Angel now, I might never get his attention back. I wish I had some of that paper with me! I made a mental note to start carrying booklets of paper around with me while I was conferring. Not long after that, in the midst of a conference with Hillary, I found myself wishing that I had my own story with me, so that I could show her how I use quotation marks for dialogue. I had to stop the conference, get up, cross the room, get my story off the easel, and come all the way back to her. “Now, where were we?” I made a mental note to start carrying my own story around with me while conferring. Not long after that, I added a checklist to use with kids, then a class story, then some extra highlighters and Post-its, and before long, I had a folder full of goodies to use while conferring. I had created, out of necessity, a conferring toolkit. Turns out, I am not alone. Lots of teachers have conferring toolkits! 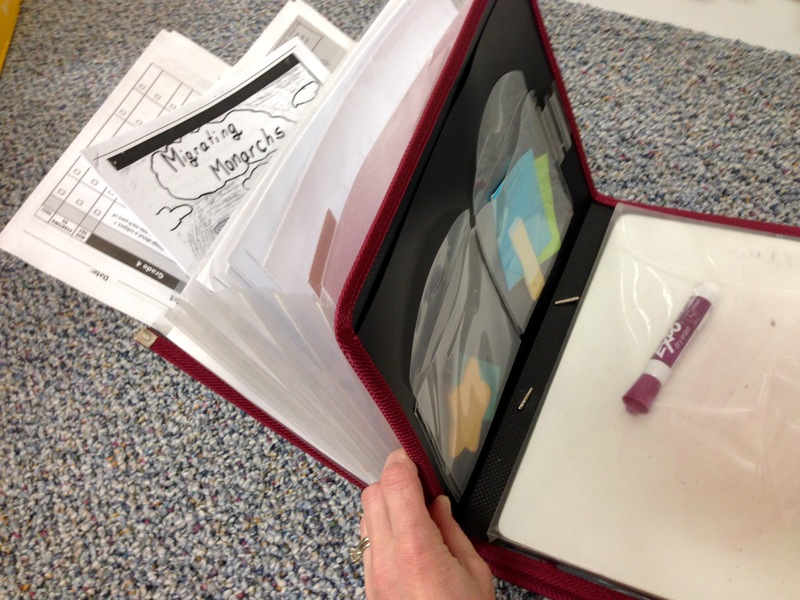 A fancy folder with pockets for student samples, checklists, blank paper, Post-its. I even have a special spot to keep a small white board and dry erase marker! To carry these around without losing anything, I have a canvas bag that is the perfect size for carrying the toolkits and notebooks I need for the day. My conferring clipboard fits perfectly in there as well, so I have everything I need in one place. 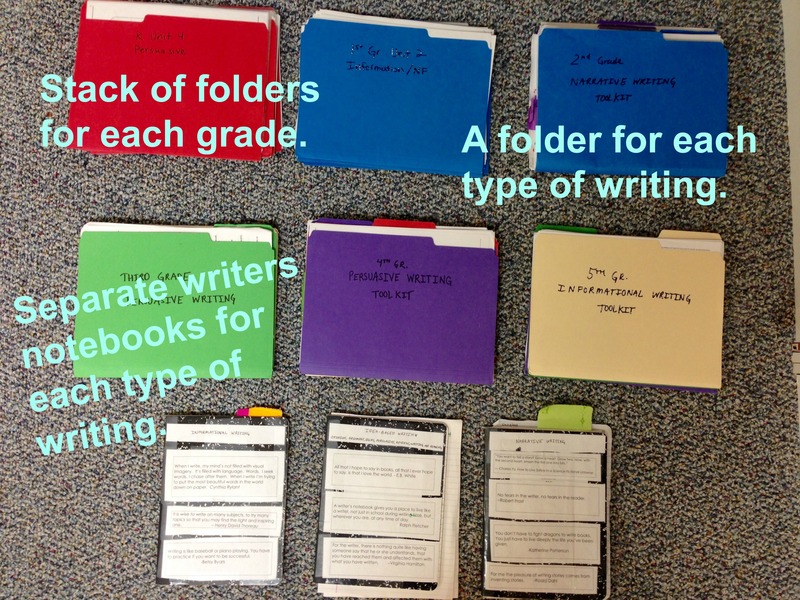 What you see in this photo is a stack of file folders for each grade K-5. I keep all my materials (including three separate writers notebooks) organized by type of writing (opinion/argument, information, narrative, poetry), rather than specific units, because I’ve found that so much of it carries over from one unit to another–fairy tales and realistic fiction in third grade, for example, use the same narrative rubrics and checklists, and many of the same charts, visuals, and other resources are useful no matter what type of narrative writing. However, for my sanity, I do keep things separated into grade levels (even though there are obviously many resources that could work across grades). 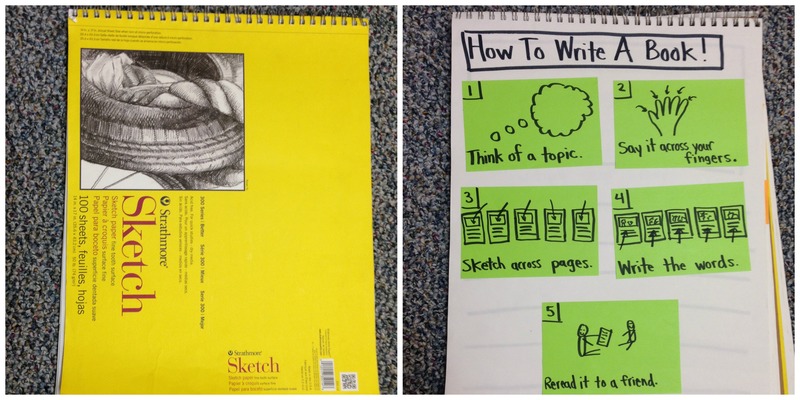 An artist’s sketch book is the perfect size to make charts that are a bit more portable to use with the whole class as well as small groups and individuals. This week my friends and I at Two Writing Teachers will take you on a tour of what’s inside all our writing toolkits. You won’t want to miss a single post this week! 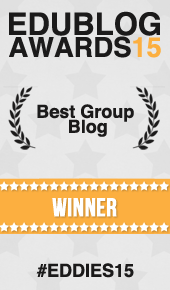 Today, in a separate post, I’ll share how I use class stories and shared writing in my toolkit. On Tuesday, Betsy will share some of the supplies that she finds most helpful to have on hand in her toolkit. On Wednesday, Dana will share some of her “cheat sheets” that she loves to use. On Thursday, Anna will write about using visuals as teaching tools in conferring. On Friday, Stacey will share her favorite record-keeping tools. On Saturday, Tara will share how she uses mentor texts, including student writing, as part of her toolkit. And on Sunday, Betsy will post a recap of the week, along with some added bonuses. Oh! 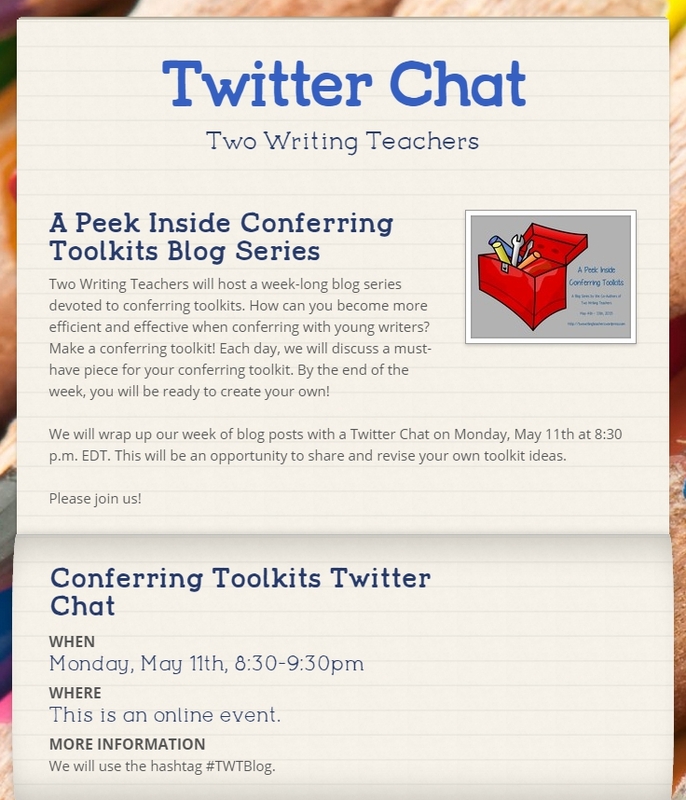 And last, but not least, we’ll host a twitter chat on the topic of conferring toolkits on Monday, May 11 8:30-9:30, using the hashtag #TWTBlog. We hope you’ll join us! ← Want to write for TWT? Great beginning for this series! So wish I had thought to be this organized earlier in my teaching life as I tried many strategies and materials – moving to more electronic but still worry about access. I totally agree with Tina! My conferring notes and organization system need an overhaul and this is just the series to inspire me to try a new way! Can’t wait to keep reading. Thanks! We have had fun playing with toolkit so this year. Can’t wait to learn how to keep making them better. I’m hook for the week! Can’t wait to learn from you ALL about a part of workshop I still struggle with…so many kids, limited time and so much to accomplish. 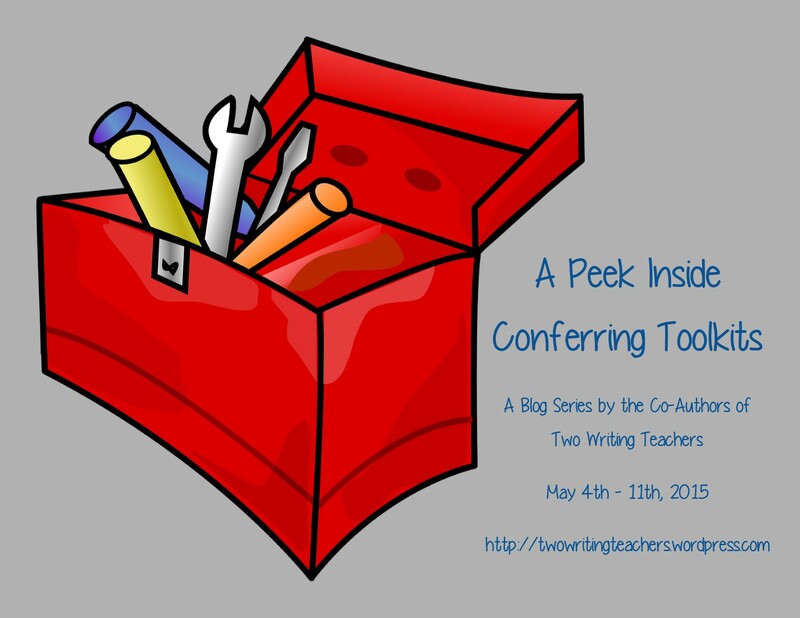 Your week about conferring toolkits is perfect timing!! You’re right! I won’t want to miss any of the posts in this series. I don’t have a toolkit at all. I often grab a piece of paper on the run and make a quick grid of the class on the run so I remember what I’ve seen and taught. While conferring, I rely on the charts on the wall, sometimes discovering that they’re not that well placed for some writing spots in the room. In the evenings I sit down and organise my notes, rewriting them on the Confer app, having found it just doesn’t work for me to record straight onto the device. I can see I have a long way to go!